What is the sweetest thing a husband could do to make his wife feel better (and happy, and stop nagging)? In my case, it's the Micromax Q55 Bling Mobile Phone. It was love at first sight when I first saw this phone in an ad during the Fifa. Among other features mobile phone features, it has ~ Full QWERTY keypad, FM Radio, 2 MP Camera, Video Player and One touch Facebook key! Fun! Aww...don't you feel bad for your old phone when you buy a new one? I'm not gonna sell it, coz I still love it lots and lots, and also because it's the same one Nate had in Gossip Girl lol....nah I don't like Nate, but I like Gossip Girl! So, Which girly phone do you use? 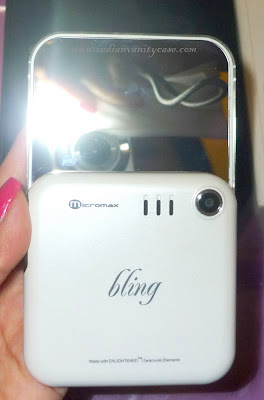 blingy phone! 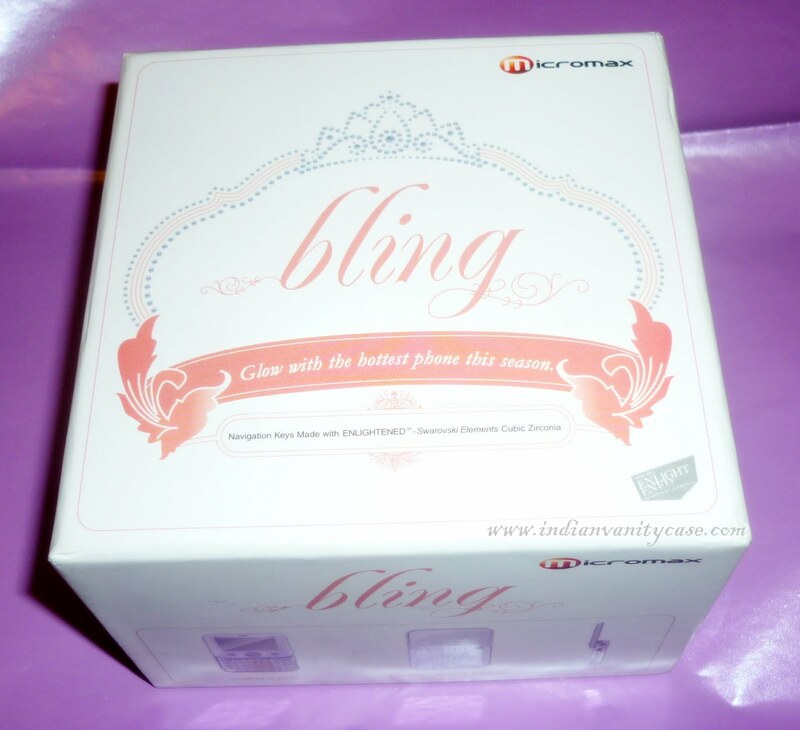 what we normally do is put blings on our phones ourselves or have it done professionally. Wow.. nice phone and awesome husband..!!! the phone suits your personality to the T.. girly, flirty, cute and small...!!! I'm using the ugliest Nokia phone eversince i broke my iphone.. i was so confused between iphone, xperia and blackberry but now i want this.. thinking of the expression and happiness and surprise my dad would feel when i would ask him Rs.5500 only for my mobile..!!! in my country, we have g-mask. 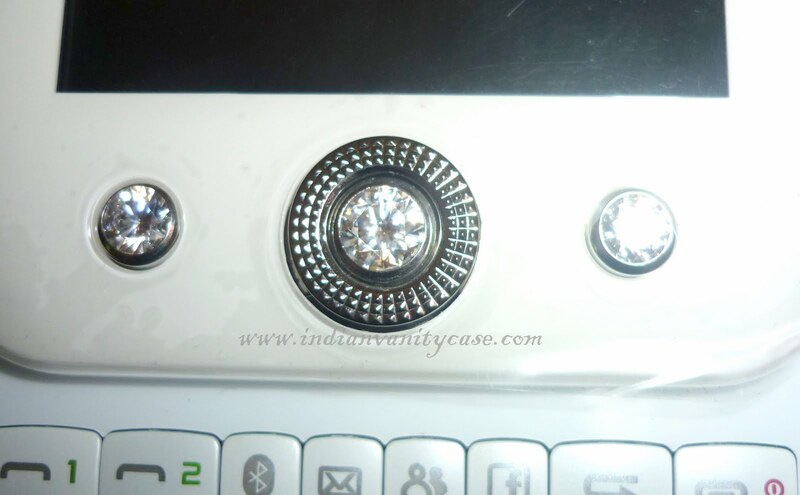 a professional service to bling the phone, laptop, or camera. its a bit pricey though. So cute..and yeah I have been eyeing it from the time I saw the ad..drool. 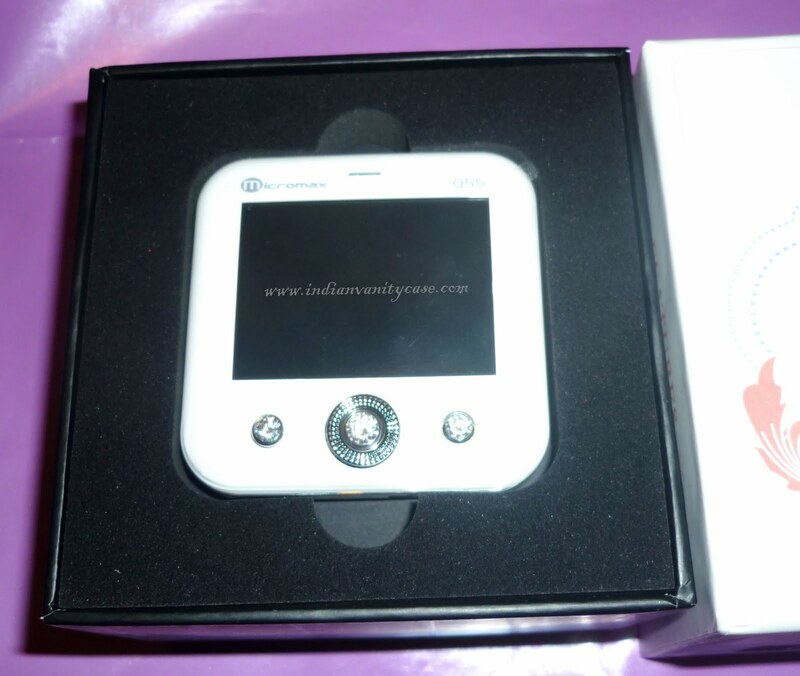 So sweet of your hubby to have gifted you this cute girly baby..oops I mean phone. 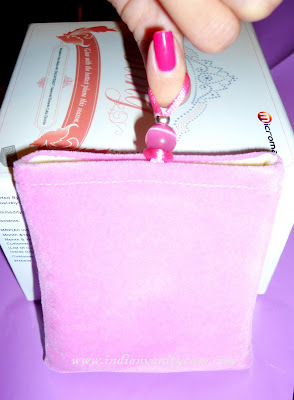 very gurly , I'm loving the pink velvet pouch. So chic !! i was at promenade a couple of weeks back and a micromaxian (can i call them that?) came running towards me and started showing me this phone and its features. i usually get so put off by all this but one look at the phone and i was floored. what a beauty! but if my pa is thinking of gettin it for mum..if so yay!!! Oh no!! If only I had waited a couple of months... I bought a new phone 2 months ago and I like it, but I soooo want this one. It is so pretty and girly. Cynthia, how is the photo quality on this phone? Does it have wi-fi capabilities? I'm also curious like the second comment above me. Does it have wifi? 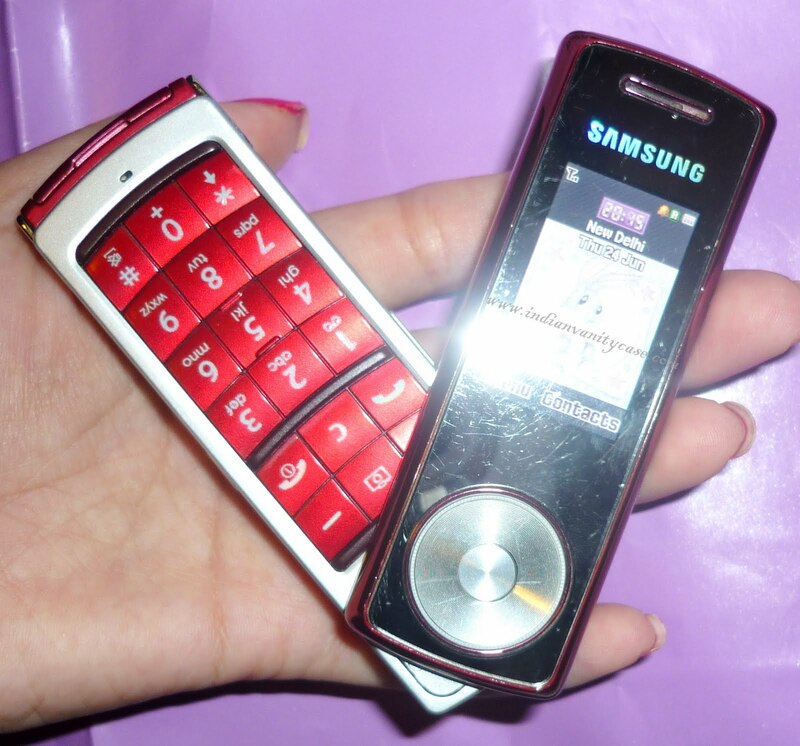 I really want to replace my replacement phone for the one I lost [a black W850i <3] and I have already mentioned to my dad I want this! 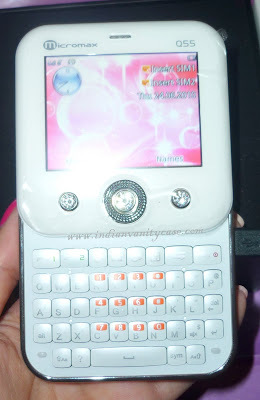 i bought the lg kf510 in 2008 and its a very pretty girly phone with touch sensitive disco lights and looks very sleek and classy! cons: it got spoilt 5 times a year on its own and now that the warranty is over i've shelved out almost 2 grand on fixing it. Was thinking of buying the bling, but dont you find it way to wide to hold while talking??? Do you still this phone? how's it going on...what's its life time? Hmm, I am living in Europe ,and I really want to buy thi mobiel. Where I can find it? I read the comments and they say it is a very delicate phone...will it be ok? Anon- It's not so delicate, imo.